Follow this amazing surfer, paddler, adventurer, speaker and author on the official Chris Bertish Facebook page and chrisbertish.com for more. 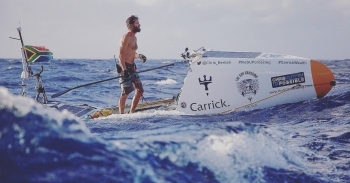 Chris Bertish set a monumental record last week by completing the first ever transatlantic crossing on a paddleboard after 93 days alone at sea. In brief: Early this morning, Chris Bertish made history by becoming the first person to paddleboard across the Atlantic Ocean, hitting land in Antigua after 93 days alone at sea to complete a monumental journey many thought he’d never make and perhaps nobody will ever match. 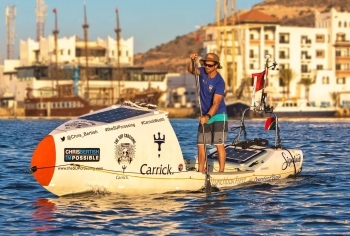 Early Tuesday morning in the Moroccan port of Agadir, Chris Bertish took the first of what will be more than 2 million paddle strokes over the next four months, with the South African big wave surfer and SUP explorer seeking to become the first person to paddle across the Atlantic Ocean standing up. 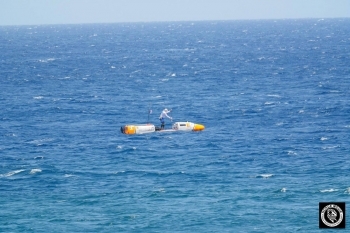 Last weekend, Frenchman Nicolas Jarossay boldly attempted to become the first person to stand up paddle across the Atlantic Ocean, however his brave voyage ended almost as soon as it began, with equipment failure forcing him to be rescued in rather dramatic fashion. The first ever Atlantic SUP crossing has begun. 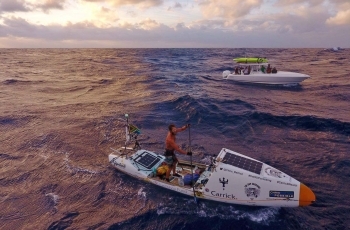 Just hours ago, Frenchman Nicolas Jarossay started his 4,690km (2,915 miles) journey, which will see him paddle his 21ft board all day every day for the next 2-3 months as he makes his way across the Atlantic from Cape Verde (off the north west coast of Africa) to the Caribbean island of Martinique. 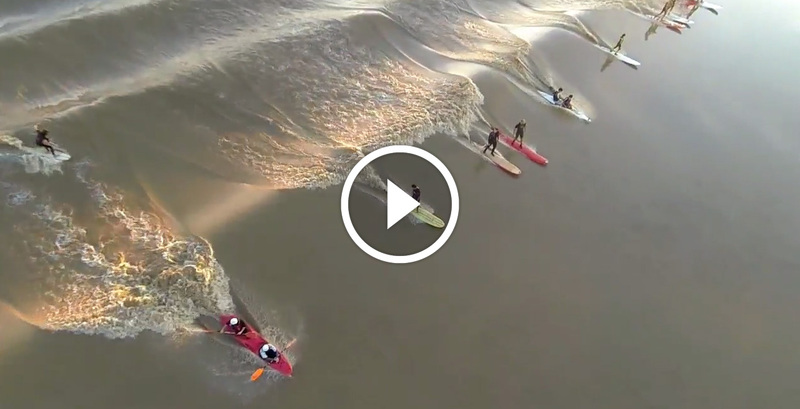 That Crazy French Guy Really Is Going to Paddle 4,000km Across the Atlantic Ocean. Unsupported. Is this the craziest looking board you’ve ever seen?